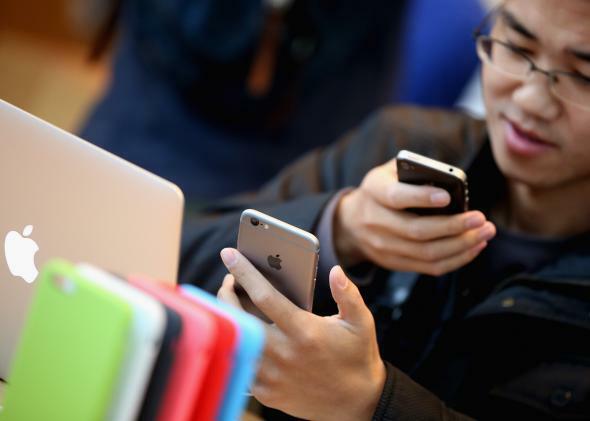 Letv, the "Netflix of China," plans to expand into American smartphone market. For Chinese online streaming service Letv, the smartphone is just the medium. He has a point. Letv launched its Internet video streaming service three years before Netflix (2004 versus 2007). It was producing original movies and series long before Netflix rolled out House of Cards. And in recent years, the Chinese behemoth has expanded in ways Netflix hasn’t: It sells TV set-top boxes and smart TVs—devices that can help you watch all that video. “We want to control the screens too,” says Li, the ex-Googler who is head of data analytics at Letv, a company with a $12 billion market cap. What’s more, the company soon will move into the U.S., encroaching on Netflix. Li will lead the effort, bringing Letv’s video streaming service, its original programming, its Apple-TV-like set-top boxes, its smart TVs, and, now, smartphones. Tuesday morning, Letv announced its entry into the Chinese smartphone market, and according to Li and his colleague JD Howard, the company plans to offer phones in U.S by year’s end. “We’re going to be building a big presence here,” says Howard, a former executive with Chinese computer marker Lenovo, referring to the West Coast of the U.S. The company joins a wave of Chinese Internet companies eying the U.S. e-commerce conglomerate Alibaba recently debuted on Wall Street (its market cap the day of its IPO exceeded that of Facebook, Amazon, and IBM), and it has invested in a handful of companies that operate in the U.S. Search giant Baidu has an R&D center in Silicon Valley. And Tencent, another sprawling Chinese Internet company, now has a U.S. partner to offer e-books stateside. At the moment, Li and Howard say, their aims are modest. Basically, they see their phones as a way of delivering Chinese video to Chinese speakers here in the U.S. Then they may do much the same for people who’ve immigrated to the U.S. from other countries. “If you want to have a little taste of your home,” Howard says, “you can have that.” But the hope is that they can eventually reach the broader market. In addition to opening an office in Silicon Valley, Letv is setting up shop in LA to be close to the creators of the content its screens are made for. Still, the hurdles to entering the highly competitive U.S. smartphone market are enormous. “This is probably more work than they expect,” says Dan Miller, the founder of research firm Opus Research, who closely follows the market. “Supply chains. Relationships. Getting room on retail shelves. As you go down the list, it becomes such a formidable task.” Offering phones based on the Android operating system, Letv could face legal action from companies like Apple and Microsoft. And U.S. consumers may be wary of using devices that connect to machines in China. Many assume that Chinese companies freely share online data with the Chinese government, and the recent demand that Western tech companies provide Chinese authorities backdoor access to their hardware and software is hardly reassuring. But Li says that Letv will run its online services from servers in the U.S., if need be. “We will do what is necessary to make the consumers feel like their rights are being protected,” he says. And he points out that the company will offer more than phones, including set-top boxes and smart TVs. In China, the company has even said it will offer electric cars. People watch TV shows and movies in cars too. It’s the video, Li says, that will carry the company’s devices forward. That may or may not offer a path to success. Remember: Amazon, another stateside company that does streaming online video, recently tried and failed to crack the smartphone market. (Its tablets and e-readers do okay.) But Letv’s arrival shouldn’t be discounted out of hand. The company is playing the long game. Given its success in China, it has the resources to do so. And the same could be said for more than one Chinese tech giant on the edge of the U.S. market. American consumers—and companies—are used to their gadgets being made in China. Chinese brands may not be far behind.